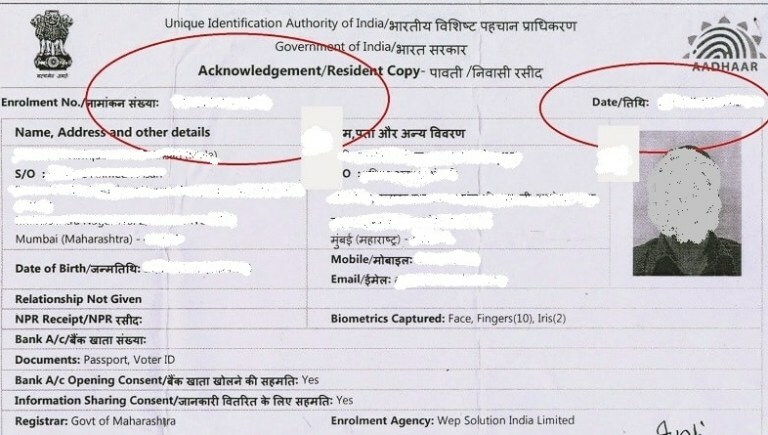 Aadhar Card is Identification Proof of Indian Citizen which Contains Aadhar Holder’s details like Name, Address, Mobile Number, Gender, Date Of Birth, Finger Print Data and his/her Unique Aadhar Number. Day by Day the Importance of Aadhar Card is increasing. Government is making Aadhar Card Necessary avail many Schemes like LPG Gas Subsidy, Benefits in Awas Yojana, Bank Process etc. So, If you Don’t have your Aadhar Card then We highly recommend you to Enrol for Aadhar Enrolment Process at your Nearest Aadhar Card Kendra. 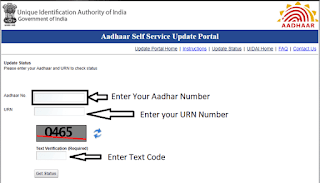 In this Post, You will get Complete Information regarding Aadhar Card and You can Download Eaadhar Card @ uidai.gov.in and also You can Check Aadhar Status and Aadhar Update Status all in Single Place. Eaadhar is also as equal as Original Aadhar Card. 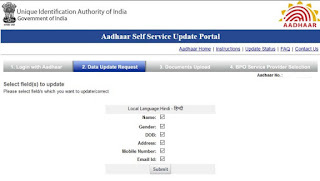 After Aadhar Enrolment Process it will take minimum 3 months or 90 Days to get Original Aadhar Card at home by Post/Offline but UIDAI (Unique Identification Authority of India) has a feature to Download Aadhar Card Soft Copy which is called E AADHAR. You can Get E aadhar once your Aadhar Application will successfully Verify then You can check Aadhar Status. To Download Eaadhar You need to follow some Simple steps. But before that, You need to make your Mobile phone Handy to receive OTP (One Time Password) for Verification Purpose. Remember You will receive your Eaadhar OTP only on your Registered Mobile Number, Which you have Provided at the Time of Aadhar Application Process. After Opening the Eaadhar Website You can see the Given Page image. Now Before Moving Forward We highly Recommend you to Clear your All the Doubts regarding Eaadhar which is Given on the LEFT SIDE OF THE PAGE. You can also Read their FAQ of Aadhar Card by clicking on the Given Link. 3.) 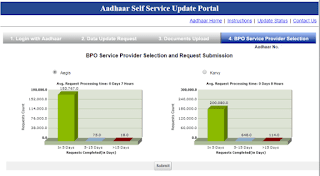 In the Next Step From the Aadhar Acknowledgement Slip Enter Your 14 Digit Enrollment Number (EX. 1234/12345/12345) and Date and Time Give in the Enrollment Slip (EX. 01/11/2017 04:15:11). 4.) 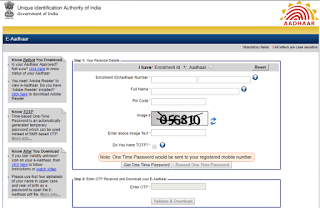 In next Step Enter your Full Name given in the Aadhar Slip, in next box enter your 6 Digit Area PINCODE. 5.) Now for Human Verification Enter the Code given in the Image. (In this Example the code is 056810). TOTP is 8 digit long numeric string. Within Few Second You will get Few Digit Code on your Registered Mobile Number. You need to enter that Passcode in the Last Step to DOWNLOAD EAADHAR. 7.) Enter the OTP and Click on “Validate & Download” Option. One PDF File will be Ready for Download which is your Eaadhar. So, this is the Complete Process to Download Eaadhar in Detail. If you still have any issue downloading the Eaadhar Kindly Mention your issues in Comment Section We will try to guide you. After Downloading Eaadhar You need PASSWORD to open PDF File. PDF File is Password protected due to Security reasons. 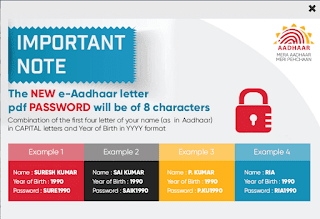 The New e-Aadhaar Letter pdf Password will be of 8 Characters as shown in the Above Example. It’s Combination of first 4 letter of your name and Year of Birth. Now, for example, you have downloaded your E aadhar from above process but sometimes due to the very high amount of application you will get Eaadhar with some Correction means Some of your Aadhar Data is Wrong. 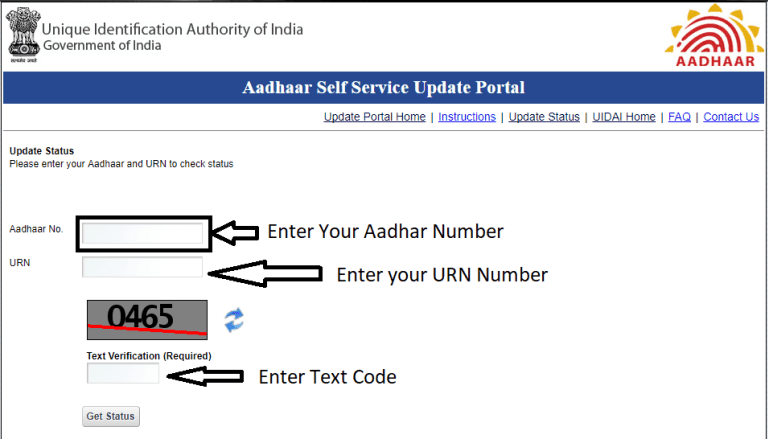 In this case, you need to Update your Aadhar Card at SSUP (Aadhar Self-service update Portal) and need to attach some documents as Verification. So, in this Process, we will see the full process of Aadhar Correction. You can update your Aadhar Card at SSUP by 2 way. 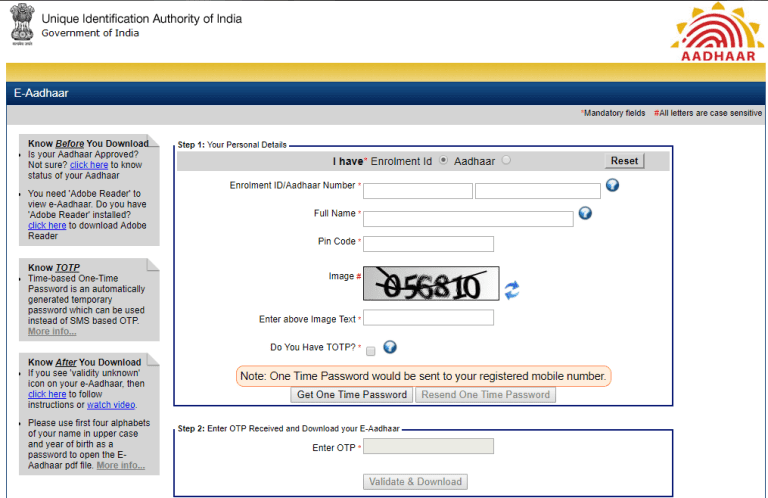 Now as shown in the above image First Enter your Aadhar Number and Text Verification Code and Click on Send OTP. After receiving your OTP you need to click on ENTER TOTP. TOTP is only valid for 30 minutes. 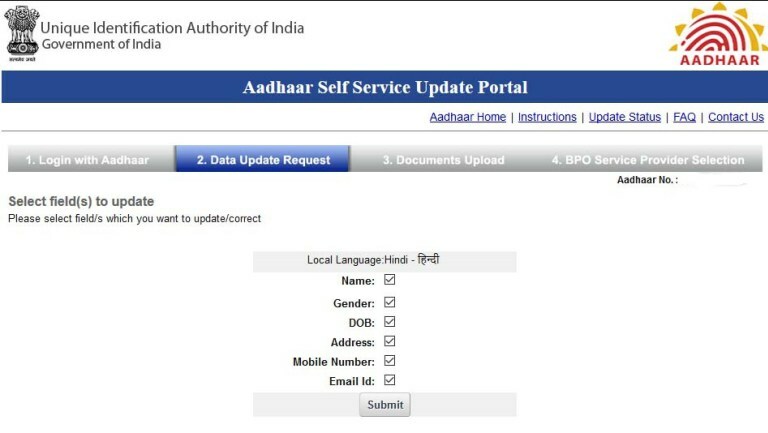 In this Step Select Which Aadhar Details you want to Update out of five Details (Name, Gender, DOB, Address, Mobile number, Email ID) and Click on Submit. 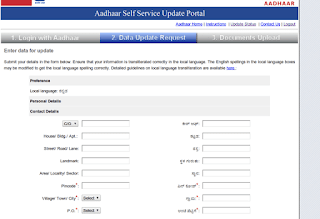 In this step Enter your CORRECT DETAILS you want on your NEW AADHAR CARD. In this step, You need to upload a few Documents as Proof of Address, Proof of Identity, Proof of DOB. 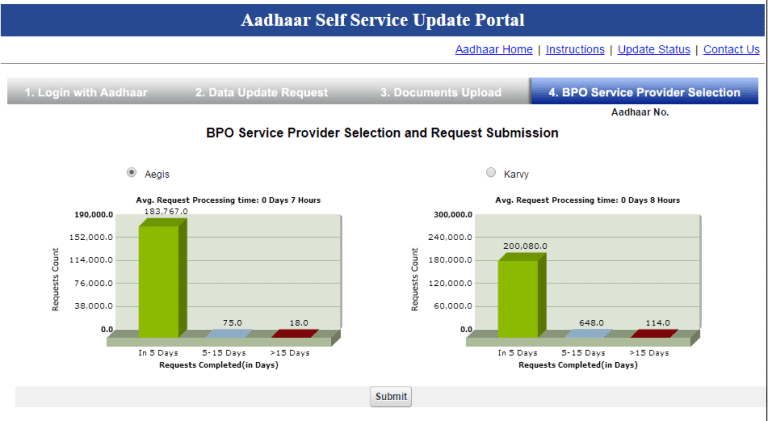 In the last step Select your Nearest BPO Service Provider from which you can take your New Aadhar Card. 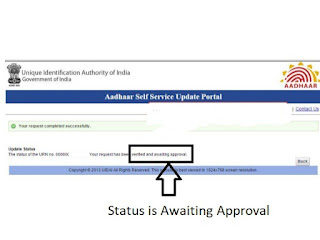 After Successfully submission of Aadhar Update Request at SSUP, you will be given one 14 Digit URN Number to trace and Check Aadhar Update Status. You will also get one SMS of your URN number on your Registered Mobile Number. After Updating Aadhar Card you need to Track your New Aadhar Card with the Help f URN Number. The process again is simple and takes 5 minutes. 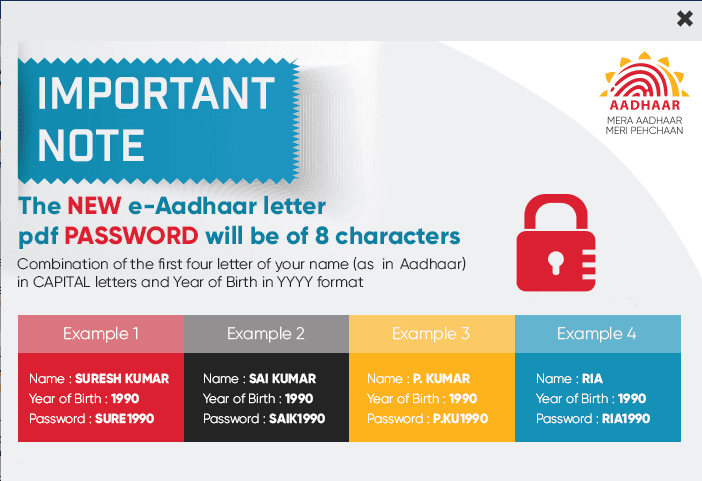 As shown in the Figure Enter your Aadhar number and URN Number. 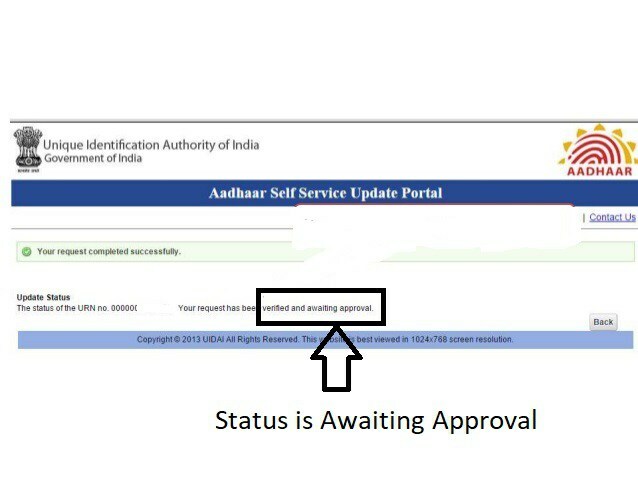 Your Aadhar Update is Awaiting Approval. 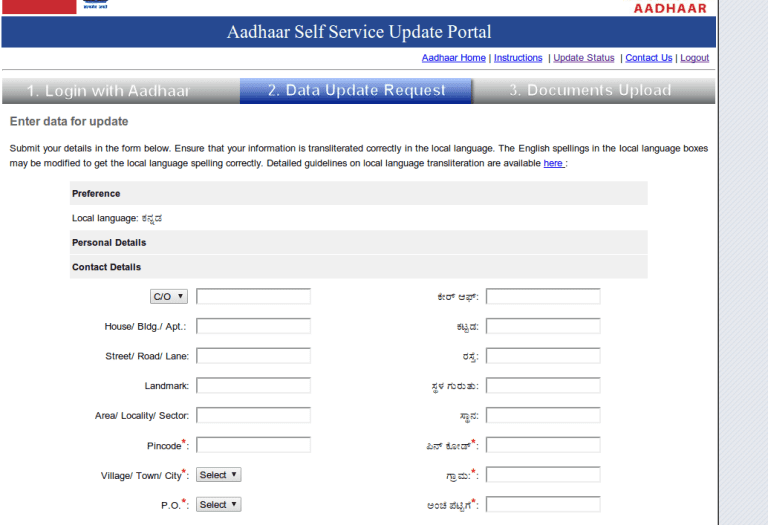 If your Aadhar Update Application is awaiting Approval You will see this Kind of Messages. In this Case wait for few days, It will be Processed surely. If your Aadhar Update Application has been Done then You will get This type of Messages. Once Your Aadhar Update Application is done You will get your New Aadhar Card within few weeks meanwhile You can also Download New Eaadhar using Above Process. 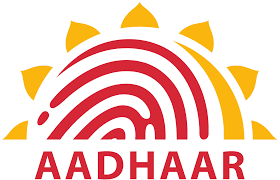 We hope you can able to Download Eaadhar and Update Aadhar Card using Above method but If you are facing any Problem Please Comment Down below and We will try to Solve your Problems. 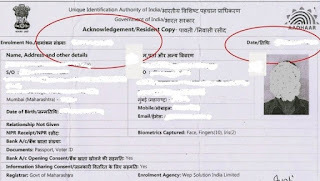 NOTE:- PLEASE NEVER SHARE YOUR AADHAR DETAILS WITH ANYONE.